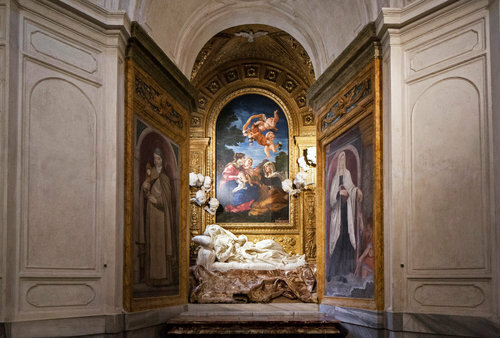 Interesting piece in the New York Times about what’s become one of Rome’s biggest tourist attractions – the 800-Year-Old Church of St. Francis at Ripa. It just so happens that the church includes a room where St. Francis of Assisi is said to have slept (including the stone he used as a pillow). Since the election of Pope Francis, interest in visiting the otherwise quiet church has skyrocketed – so much so that the church doesn’t have the funds to make necessary improvements. With 7 days remaining in the fundraising campaign, the monks have some catching up to do – at the time of writing, they’ve managed just over $70k. Still, that’s impressive, and surely wouldn’t be possible without kickstarter. It also speaks volumes of the game-changing feature of online giving: Reach. When you institute an online giving program, you expand your tithing base from “[whatever it is now]” to (theoretically) “everyone on the planet.” It’s that simple. Imagine the benefits of people being able to support your church from anywhere, at any time. Families on vacation can still make their regular contributions. Members who are bed ridden due to illness are able to show their support. Former church members who’ve moved away but still want to support their hometown – the list is endless. Remember, it’s the tradition itself, not the tools you use to spread it. Online giving is the future, and FaithStreet has the most sophisticated and lowest cost platforms available. If you’re interested, drop us a line – we’re happy to help. As for the Franciscans, we’re pulling for them.